Innovation, closeness to customers, and groundedness - these strengths helped Georg Fritzmeier make his saddlery successful quickly, right from its founding in 1926. And these strengths have set their stamp on our company to this day, as step by step we have developed from an artisan shop making seats and the first tarp covers for tractors into a high-tech manufacturer in metal and composites. 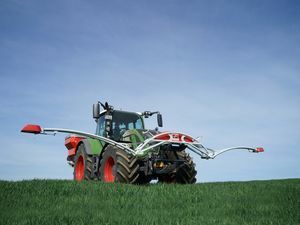 Today, the Fritzmeier Group works internationally and makes complete driver cabs, system components and parts to meet the evolving challenges of the vehicle and agricultural industries. But some things have not changed – as an owner-operated family company, for generations we have been more innovative, more agile, and closer to customers. That has set us apart since 1926. In 1926 Fritzmeier was founded in Großhelfendorf as a saddlery by Georg Fritzmeier. In 1960 the headquarters of the Fritzmeier Group was founded in Großhelfendorf, Germany. A major milestone was the founding of the plastics division in 1972 in Hinrichssegen, Germany. Surfboards, skis and meanwhile complex carbon fiber components have already been produced there. In 1975, the cabin plant Fritzmeier Wels was founded in Upper Austria. Today, the company supplies complex cabin variants. Already in the 1970s, Fritzmeier established himself as a pioneer of the first full plastic skis and thus contributed to Rosi Mittermaier's triple Olympic medal victory. The professional handling of carbon is in the genes of M1 Sporttechnik. As a member of the Fritzmeier Group, the company benefits from the know-how of an internationally leading expert in innovative materials technology. The M1 sports technology currently produces high quality e-bikes made of carbon. In 1996, the cabin plant was founded in Vyskov, Czech Republic with just five employees. Today it is one of the most modern locations with over 570 employees on a total area of ​​more than 70,000 square meters. Since 1997, the Fritzmeier technology with approx. 100 employees develops individual, technical complete solutions on behalf of customers. The logistics and assembly site in Wörth was opened in 2001 and is located in Daimler Industrial Park Wörth, the largest truck production plant in the world. There roof shelves and wind deflectors for trucks are assembled and JIS delivered to Daimler. In 2002 Fritzmeier founded this 29,000 m² plant in Sibiu, Romania. Today it specializes in lightweight components. All told, 350 highly qualified specialists work here, aided by the latest aluminium welding robots and tube laser machines. This 7000 m² plant was founded in 2005 as an extended workbench for Vyškov. In addition to subassemblies for later welding into entire cabs at Vyškov, the plant also makes complete safety structures for other plants. In 2007 Fritzmeier Systems GmbH and Samvardhana Motherson Group in Chennai, India set up the joint venture FMCEL, which currently has 400 employees. 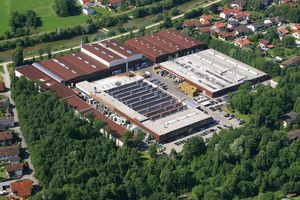 The Weyarn, Germany location was founded in 2013 as a logistics and production location for cabins and plastic parts. The composite plant Hohenossig was founded in 2014 and is located in the immediate vicinity of the BMW plant in Leipzig, where it completes the finishing of CFRP structural components for BMW. The most recent founding of the Fritzmeier Group took place in early 2018 in Istanbul, Turkey. The sales company in Turkey supplies the Daimler plant Aksaray with wind deflectors.. The Fritzmeier Group is bound together by strong cooperation among its members, and from the beginning has focused on innovations that make its customers’ products more efficient, safer and more economical. Our strength lies in recognizing and addressing the needs of our customers. We work to achieve this every day, and we thank our customers for the trust they place in us.